Save yourself the hassle of getting friends or family to drive you to/from the airport and eliminate all the time and money of leaving your vehicle in long-term parking. Garlic City Limousine can help you start your vacation the minute you walk out your front door. We will load up your luggage while you slide into the comfortable, luxurious vehicle of your choice and get you on your way while we deal with all the headaches of traffic and confusing airport signs. 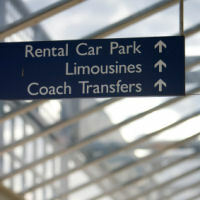 We will drop you off curbside in front of your airline and unload your luggage in plenty of time to catch your flight. Have a large party? Our luxurious party bus can handle up to 24 passengers and kick start a fabulous vacation! If you have a smaller group, our 10 passenger stretch is very roomy, and if you are traveling as an individual or couple, we have a comfortable Lincoln Towncar sedan. On your return home, we will monitor your flight closely, to ensure we are there to welcome you in style as your plane arrives. Even if your flight is delayed, we can still accommodate your arrival in most cases. Depending on which airport you arrive at, we will either Meet and Greet you in the baggage claim area (San Jose Airport, Oakland Airport), or meet you curbside outside of baggage claim (San Francisco Airport). During your ride home, you can sit back and unwind as we get you back home safely and unload the luggage back at your door. You've planned the perfect vacation: a cruise filled with fun, sun, and the endless buffet. Why not start your dream vacation by eliminating the hassle of driving to San Francisco? Garlic City Limousine can provide safe, reliable transportation for you, your friends and family, and all your luggage to the Port of San Francisco without worrying where you'll park your car. 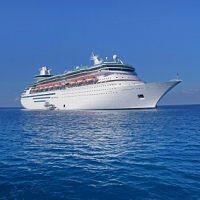 Getting picked up after your cruise can often be difficult, as most ships don�t give you an exact departure time due to customs clearance. Save your family and friends the hassle and let us pick you up for an enjoyable and luxurious ending to your fabulous vacation. Going to a sporting event or concert? Why not turn it into a party and let us worry about the parking. Enjoy your favorite beverages in the safety, comfort, and style of either our stretch limo or ultimate party bus.